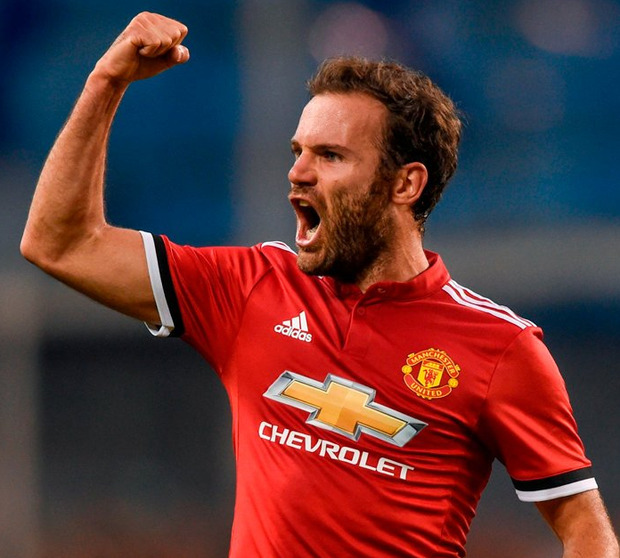 Juan Mata has told his Manchester United team-mates they should be "raging" about their defeat at Newcastle United as Jose Mourinho's side were accused of not showing up at St James' Park and being a far cry from rivals Manchester City. United's second successive away defeat left them 16 points adrift of leaders City and locked in an increasingly intense battle for Champions League qualification. The loss intensified the spotlight on midfielder Paul Pogba, who was substituted for the second consecutive away match after disappointing Mourinho with another listless display that increased the pressure on his manager to find a system that maximises the Frenchman's talents. But Newcastle captain, Jamaal Lascelles, felt Pogba was far from the only Manchester United player who failed to fire on Tyneside as the defender chose not to mince his words after his side's first league win at St James' Park since October. "They have got some great players but I don't think (Manchester) United turned up," said Lascelles. "We have played against Arsenal and Man City and you can really see the quality and one mistake or a lack of concentration and a goal will go in. On Sunday, I don't think they were at it from the start of the game - a lot of their players went missing." Lascelles believes Mourinho's team struggled to cope with the quality and intensity of Newcastle's performance. "It was probably the way we were playing, we made them play like that," he said. "In the first half they were making a lot of mistakes, passing the ball around but it was down to our pressing. We were aggressive and they didn't like it. You could see their centre-halves [Chris Smalling and Phil Jones] on the ball and they didn't really know what to do with it. "We set up really well and we matched up really well against them. The manager [Rafael Benitez] got it spot on." United remain second in the table but they have taken just 15 points from the past 27 available and face big games against rivals Chelsea and Liverpool in the coming weeks. Liverpool and Spurs have taken 20 and 21 points respectively from their last 27 and have easier run-ins than United, who must play four of the top six. Mata believes United should be consumed by "rage" after the Newcastle loss but need to channel that into the FA Cup fifth round away to Huddersfield Town on Saturday. "After losing an away game, you think a lot about it on your way back home. You remember every play, every moment, and you try to change the outcome but obviously that's impossible," the United midfielder said. "You can't turn back time, so the only way to carry on is to turn all this rage into a desire to win and work for the next game."